Wooden carousel dragon, original design. 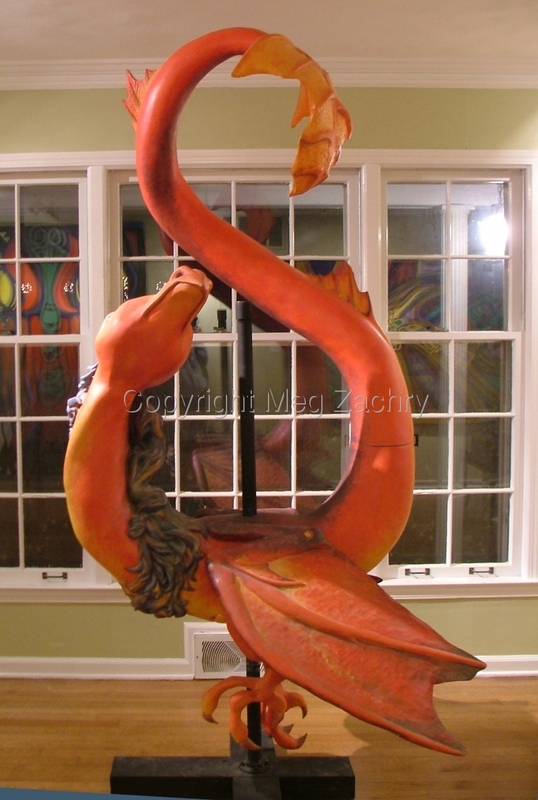 This is a real, wooden carousel style sculpture of a dragon dancing in a figure eight. The piece is 8 feet tall on its pole and about 4 feet wide.